In our secular age, on a secular campus, a university chaplain often hears comments such as “I am not interested in organized religion,” “The church has nothing to offer me,” “My parents are religious but I prefer my own way,” and of course, “I’m not religious but I am spiritual.” At a Canadian university, the withdrawal by young adults from traditional religious practices, mostly from western monotheistic religious traditions, but also including those from those religious traditions are found in the east, is almost certainly no surprise. But even with statistics showing an increase in those identifying themselves as atheists, the larger number of young people still see themselves as holding an openness to spirituality; they are just unsure about what form or direction that will take. How can we be spiritual and achieve the level of spirituality that leads us to “virtuous character” and “virtuous action”? While many have become disconnected from or have never found a place in traditional religions, the answer for some is still found in the elements of religious practice, without the organization, structure, hierarchies and obligations. Spirituality can still be nurtured through the living elements of faith traditions that provide an anchoring or a foundation point. The danger is that spiritualities with no anchor will simply drift along, defining reality as it goes along, and real happiness may never be found other than in a most superficial or hedonistic way. Those who have a sense of being anchored or based on something will have a starting point, a reference point, a measure to determine their development and on which to base their reality. Some people will find this anchoring in the sacred and classic texts of faith. Those who spend their lives reading the Qur’an or Bible or Upanishads or Torah, or reading the writings of great spiritual models find not only inspiration, but also direction. Some people will find this anchoring in the practice of prayer, worship, meditation, in company with others or alone. For some, this mooring will be more in the community of others who believe than in the beliefs or rites. Others are anchored by a sense of place, and in a holy space find that their spirits are awakened to a greater reality and the possibility of change. As I walk this campus, while I expect to hear expressions of the ongoing disillusionment of religion, in all its traditional forms, both eastern and western, I also hope to hear more expressions of those who seek true happiness, a sense of satisfaction that comes from striving to grow and develop as people and to make a difference in the world, a true spirituality based on word, on action, on people, or on tradition, that transforms individuals in lasting ways and shapes the world through justice and love. 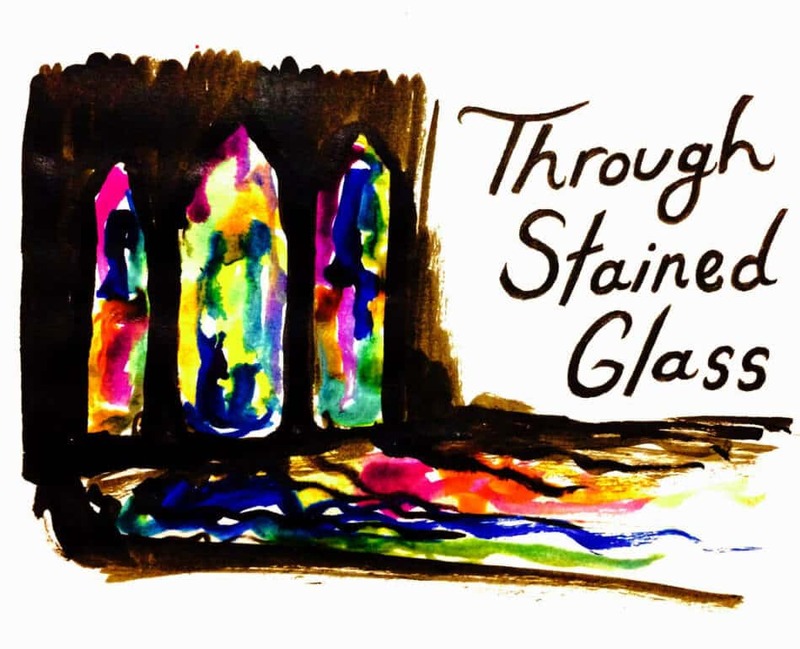 While we nurture our spirituality in a variety of forms, in the chapel and elsewhere, we work towards the common goals of a better world, which I can see through stained glass.